Justin works tirelessly behind the scenes helping to organise many of Hope for the Young’s successful fundraising events such as the New Year Raffle and The Big Half. His passion for helping those in his community is extraordinary and through his hard work and commitment in ensuring these events are a success, he has helped Hope for the Young raise thousands of pounds for its vital services. We love his enthusiasm and want to share Justin’s comments on what it means to be a Fundraising Volunteer at Hope for the Young. What does your typical day at Hope for the Young look like? On a practical level it requires checking emails, sending letters, creating spreadsheets, organising events and building good partnerships with potential donors. Fundraising is a multi-dimensional role that involves raising awareness and educating the public about the terrible plight of young refugees that Hope for the Young supports. Fundraising also involves a good understanding of marketing, promotions, digital communication, stewarding and campaigning. What do you do with your time when you’re not at Hope for The Young? I work nights as a security officer at the weekends where I generally have to deal with unruly members of the public in quite pressurised scenarios. It is quite a challenge switching from working nights to days, but I was determined to carry on my charity work. It took a while of being literally exhausted all the time but now I make sure I don’t go to bed on Sunday until the evening, so I can fall back into my normal body clock. I also volunteer for NACRO, a social justice charity once a week and enjoy going to art galleries and festivals. I’m a bit of a politics and news junkie and have an unhealthy obsession with the ‘Today’ programme on Radio 4. Attracting new donors and partners and keeping them motivated. Secondly, thinking of new and inspiring ways of raising money and encouraging new supporters. Finally, I can only volunteer around one day a week and so it is hard to do all of this with such little time! What do you think you have gained from volunteering with Hope for the Young? Firstly, a better understanding of the huge charity sector! Hope for the Young is a very small organisation and so I’ve managed to see and get involved in other areas of the charity too. The flexibility I’ve been given has been great. I’ve now started to move on from fundraising tasks to writing content for their website! This has enabled me to continue volunteering whilst my other work commitments have increased. Where do you see Hope for the Young in the future? I dream that we get more money and access to funds so that we can support a greater number of asylum-seekers and refugees to access education and get the support the need. It would be great if we could provide more mental health and well-being services, as well as social functions for those we support. What would you say to someone who was considering volunteering with Hope for the Young? It is a great organisation and the staff and volunteers, who all care very passionately in everything they do, are great role models for everyone who volunteers in the charity. We’d like to give a huge thanks to Justin. We appreciate his continued support because without it, Hope for the Young would find it even more difficult to raise money for our projects. 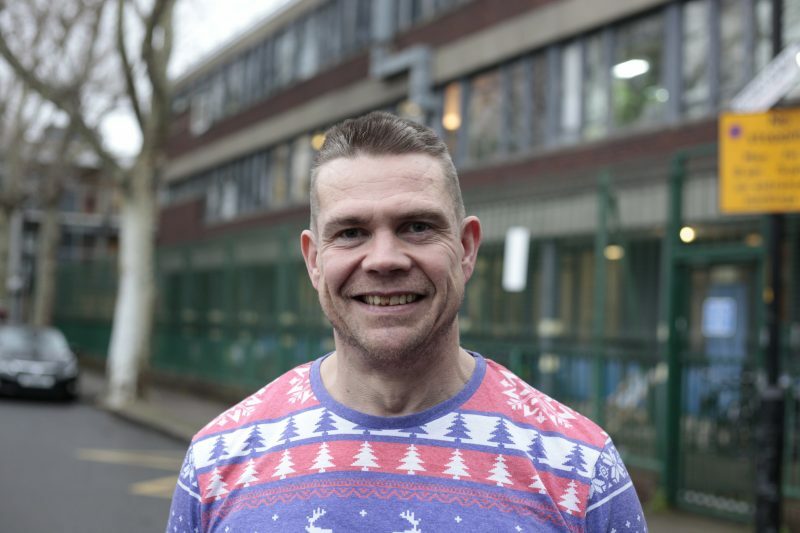 It’s people like Justin that ensure we can continue supporting young refugees and asylum-seekers in the UK and through his hard work, it has enabled more young people to get the support they need.